The idea was pitched to Nixon, who quickly approved the bombing with the assistance of his national security advisor Henry Kissinger. The first airstrikes were set for March, barely one month after the initial intelligence reports. In honor of the breakfast meeting at the Pentagon that led to Nixon's approval of the strike, the assault was codenamed Operation Breakfast. On the 9th of March, 48 boxes - approximately 48 square miles of Cambodian territory - were carpet bombed for Breakfast. Over the course of the next 14 months, the US conducted 3630 B-52 bombing raids in Cambodian territory. Each major operation followed on a tradition set out by Breakfast; subsequent plans included Operations Lunch, Snack, Dinner, Dessert, Supper. It had taken a change of presidential administrations to start these attacks, but once the bombing began, a new routine of escalation fell into place. As William Shawcross explains in his seminal work Sideshow, "(O)nce the decision had been made in principle that Communist violations of Cambodia's neutrality justified aggressive reciprocal action, it was not difficult to repeat the performance." (Shawcross, p 26) And to this day, there is still debate whether Sihanouk himself approved of the bombing of his own territory; Sihanouk denies it entirely, while Kissinger has stated otherwise. In a sense, though, it didn't matter whether Sihanouk approved it or not, for as was the case with Hanoi's initial placement of troops inside Cambodia, Sihanouk lacked the military might to prevent it. So either with or without the permission of Sihanouk, the US continued to bomb NVA and VC targets within Cambodia. The Nixon administration was morally quite comfortable with the decision; as Henry Kissinger has stated, "It was not a bombing of Cambodia, but it was a bombing of North Vietnamese in Cambodia." (Shawcross, p 28) Yet they still demanded secrecy, fearing the press would use it as a tool against them. Surprisingly, very little information was mentioned publicly - in April and May of that year there were several small references in the press concerning bombings over the border, but for whatever reason it wasn't considered a major story. Despite the relative success of the administration's news moratorium, Henry Kissinger was livid because of the minor breech. He concluded the story had been leaked by Mort Halperin, an aide on the National Security Council staff. In retribution, Kissinger removed Halperin from the loop and successfully arranged FBI chief J. Edgar Hoover to wiretap Halperin's home. The Halperin tap was the first of many administration-sanctioned, illegal wiretaps that helped bring down the Nixon presidency. Yet despite the months of airstrikes, the bombings did little to curb NVA activities. On the contrary, communist forces crept further and further into Cambodia. The US bombers followed suit. Significant populations of Cambodian peasants were now at risk, though no one knows how many of them were killed during the campaign. 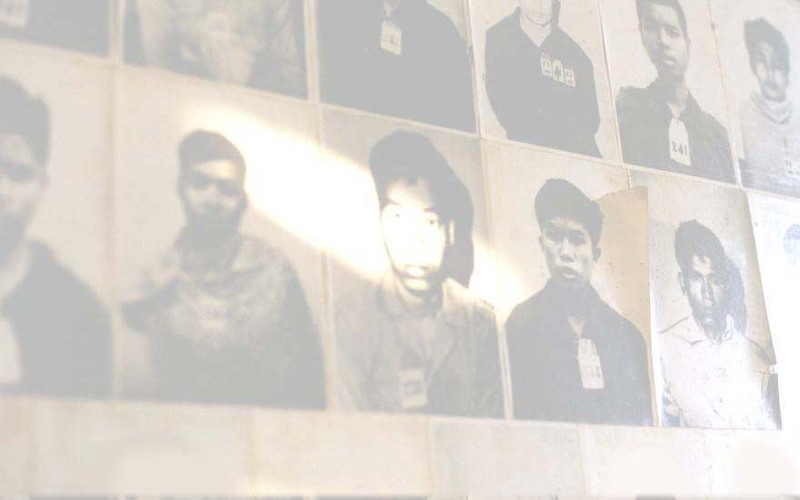 And the Khmer Rouge, previously a weak guerrilla force run by disenfranchised leftist politicians, grew in the wake of the bombings, as each attack on Cambodian land legitimized their virulent hatred of Sihanouk. They would still need more fighters and weapons if they ever wanted to rule Cambodia, but at least the bombings reinforced the Khmer Rouge's taste for violence. The war in Cambodia was escalating, spiraling out of control. Sihanouk, whose greatest evidence of his mandate from heaven was that he had kept his people out of the war, no longer had the right to that claim. His days were numbered.